Rich, all natural solid wood is the sturdy foundation for this Westland Corner China Cabinet in which you may store your treasured china and crystal. 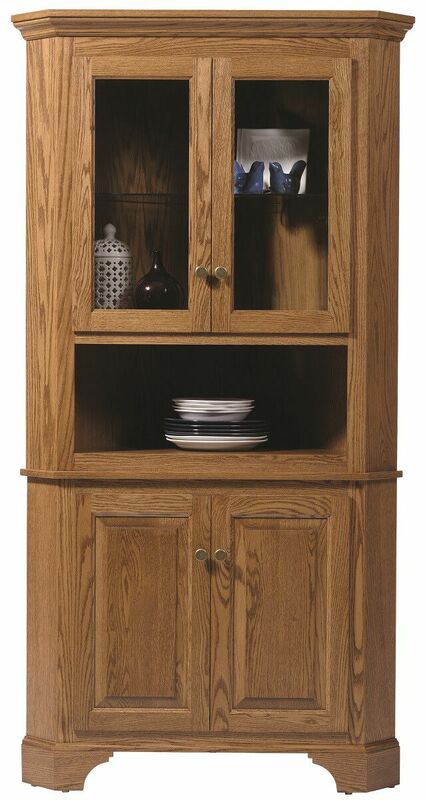 Bracketed feet, crown moulding, and raised panel doors are tastefully traditional in our Westland Corner China Cabinet. This china cabinet is perfect for the dining room or kitchen with limited space, requiring only 30" of wall space on either side. A standard feature is recessed display lighting with a touch control light switch. 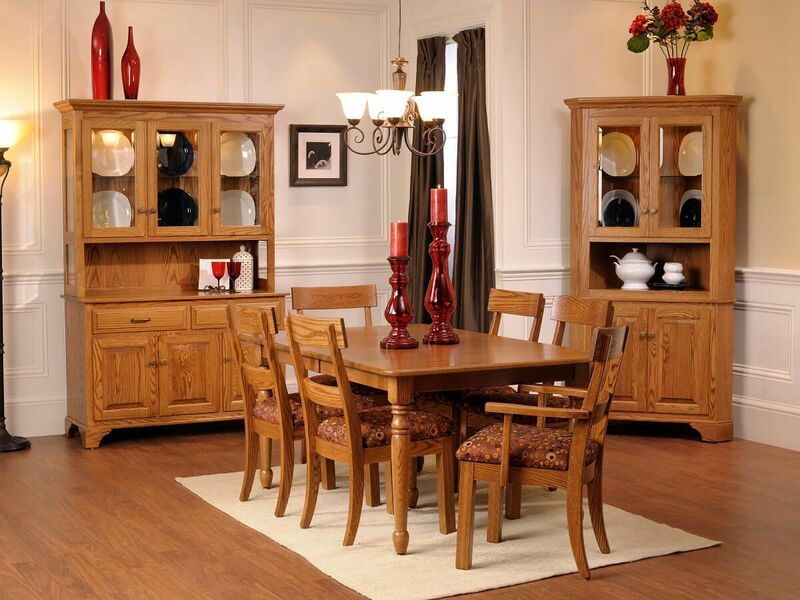 Solid wood construction and Amish craftsmanship will ensure your Westland Corner China Cabinet will last a lifetime. Let Countryside begin work on yours by completing our online Create Your Piece menu.